Why Didn’t Apple Highlight These iPhone 5 Features? 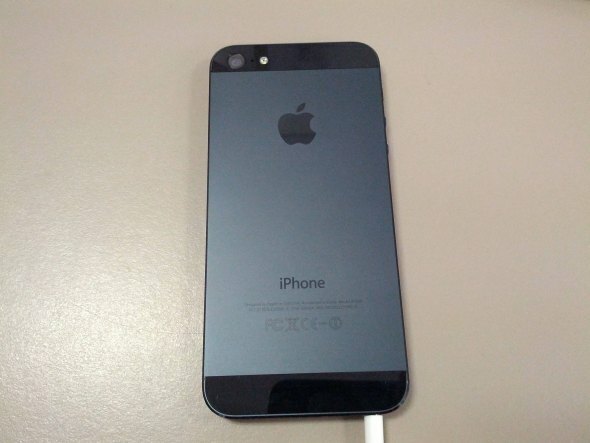 Much has been said of Apple’s new iPhone 5 – and not all have been favourable. From the Maps app to Scratchgate, it has received lots of bad press that at times it deters the attention away from the fact that underneath that shiny aluminium body that scratches easily, this is not just the best iPhone yet (that’s an easy conclusion), but one of the best smartphones currently in the market. Unfortunately (and uncharacteristically), Apple did not showcase some features of the iPhone 5 that makes it such a good device. Read on after the break to find out what they are. The camera on the iPhone 4S is very good, and would have been the best around if not for the Nokia 808 PureView’s 41MP behemoth that makes other smartphone cameras hide away in the noisy darkness. The iPhone 5 improves on the camera in the 4S, while still keeping the good stuff. The lens cover is now made from sapphire, one of the hardest minerals around. Also, it also captures photos faster than the 4S camera by 40% and has improved low light performance, with improved noise reduction. And what did Apple decide to show off in the iPhone 5 launch? 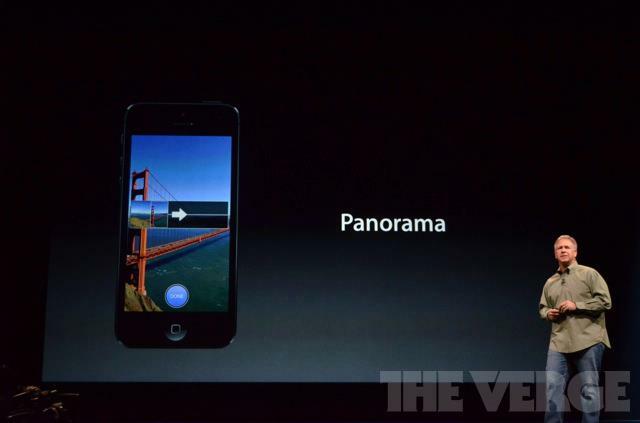 A Panorama app. Granted, the Panorama app in the iPhone 5 is an improvement over other panorama apps out there. But really, they should have highlighted the fact that the new sensor performs better in low light and noise reduction was down to Apple’s own pixel oversampling technology. Pixel oversampling is a relatively new technology, only seen in the aforementioned 808 PureView. There, 41MP shots are compressed into 5MP shots with stunning detail and clarity. 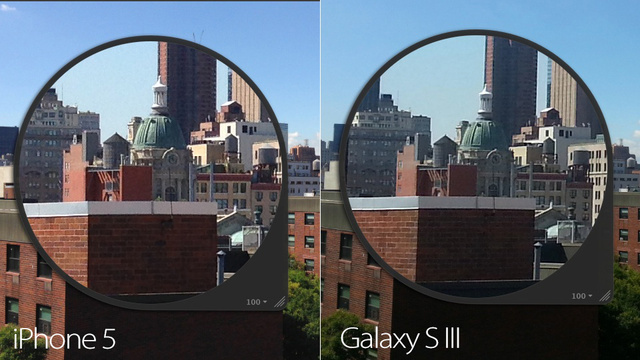 Apple’s 8MP shooter compresses photos down to 4MP. While that does not seem like much, it does live up to its promise of better low light shots. In addition, there were plenty of rumours regarding Apple’s subdued description of the A6 processor powering the iPhone 5. While Apple have traditionally not disclosed clock speeds (which I actually agree on – it’s not a question of how many GHz, it’s how you use them (thanks, Nokia)) they have at least mentioned the number of cores. It took a detailed teardown of the iPhone 5 to reveal just how interesting the A6 processor is. 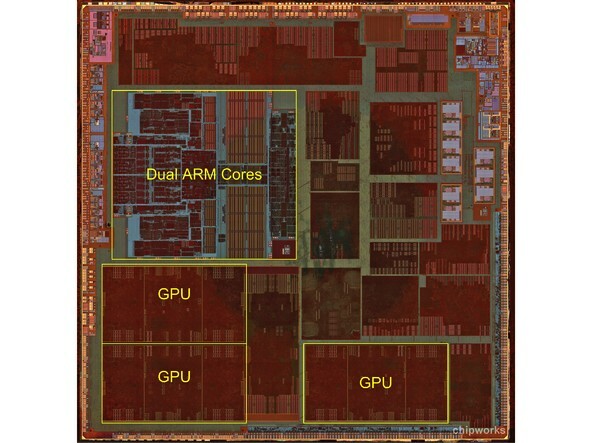 While the architecture is still ARM-based, the layout of the chip, which was designed in-house by Apple, is the key to the iPhone 5’s massively increased performance. Oh, besides the dual-core CPU, there are three GPU cores in there, too. There’s some positives in the Maps apps, too. Nokia bought over a mapping company to power its in-house mapping services, and it is now bearing highly profitable fruits (Nokia proudly claims that four out of five cars with built-in navigation systems use Nokia maps). Apple realised that they simply cannot be tied down to Google’s mapping services, as they are becoming an increasingly hostile competitor. So while Apple’s first foray into mapping services is not up to scratch, it is a step in the right direction. So there you have it. One of the best cameras to be found in smartphones, in-house designed chips and mapping services to reduce dependence on other companies. While Scratchgate may be a short-term fiasco for Apple, and the Maps app will bear the brunt of geeky jokes for the next few weeks, the future for Apple will be as bright as the unscratched borders of the iPhone 5.